So much for that agreement to freeze output. The latest oil market data reveal that both Russia and Saudi Arabia ramped up their oil production in February, despite talks about supply caps. The two oil countries agreed to freeze output at January levels last month, which caused oil prices to rally. But the deal had many conditions. Most importantly, the two said they'd expect other big oil producers to join in. But that did not happen. Iran called the agreement "a joke," and pledged to boost production now that nuclear sanctions have lifted. Tehran said again this weekend it wouldn't participate in any production freeze agreement until it is pumping 4 million barrels per day. That's over 600,000 barrels per day more than it produced in February, according to a report by the Organization of the Petroleum Exporting Countries. Russian oil supply reached a new high of 11.08 million barrels a day in February, according to the OPEC report, with the country adding 10,000 barrels to its daily production since January. Saudi Arabia increased its daily output by 14,000 barrels in February, to 10.14 million barrels per day, according to OPEC's analysis of market sources. 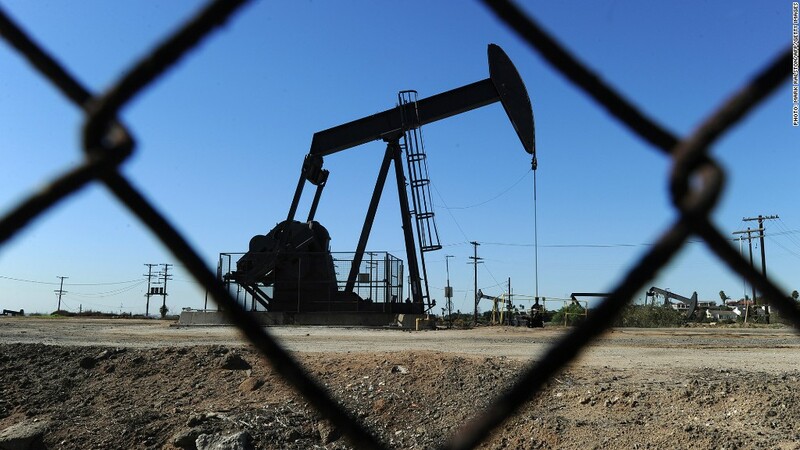 U.S. crude futures dropped more than 4% on Monday, to below $37 per barrel. Despite the increases from Iran, Saudi Arabia and Russia, global crude supply declined in February, by 210,000 barrels a day to 95.7 million barrels a day, OPEC said in the report. OPEC member Iraq saw its supply slide 263,000 barrels a day to 4.2 million barrels a day, the lowest since October. Nigeria, another OPEC member, also reported lower production in February, as did the UEA. Global oil markets have changed markedly in the last two years. Oil prices have collapsed to as low as $26 per barrel in February, from well over $100 in 2014. The low prices squeezed higer-cost producers, who were forced to slash their spending and rethink some projects. The number of active oil and natural gas rigs in the U.S. has plunged to the lowest level in 70 years last week. The report on Monday said non-OPEC oil supply will likely drop by 700,000 barrels a day in 2016. "The expectation of reduced cash flow in 2016 has prompted many companies to reduce investments, deferring major new projects until a sustained price recovery can be maintained," the report said.